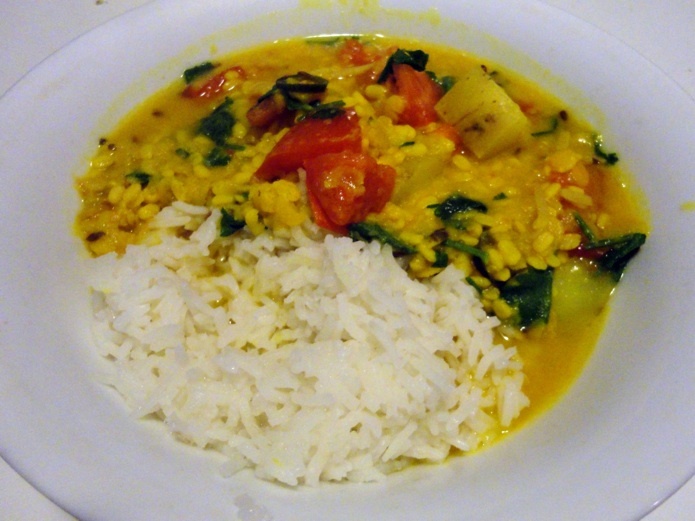 I learned this style of dal cooking from Yamua Devi’s book, The Art of Indian Vegetarian Cooking. Sub-titled Lord Krishna’s Cuisine, this book details spiritually inclined Indian cooking that eschews – marvellous word! – garlic and onions. 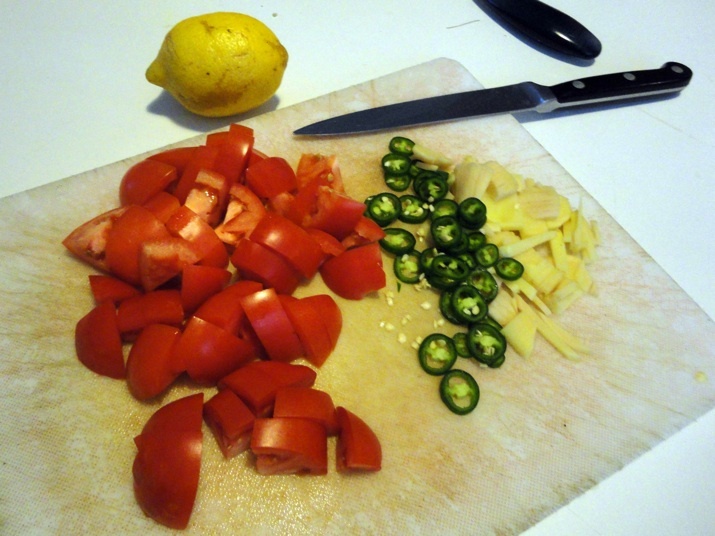 Instead, many of the dishes use chillis, ginger, lemon juice and coriander. 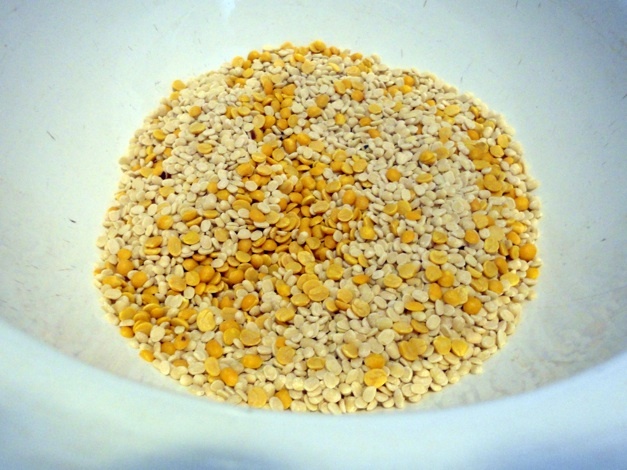 Unless using red lentils or moong dal, soak pulses overnight or at least for the best part of a day. In this case I use channa dal and urad dal because that’s what I have most of on hand. Drain pulses, place in big pot. I know, I know – salt is Bad. But I find if I don’t add it to my Indian cooking, it just doesn’t have anything resembling the sort of authentic Indian flavour I seek. Moderation is the key – in this case I use a teaspoon of salt. I suspect an Indian restaurant or household may’ve used 3-4 teaspoons! Give the salt a miss and you’ll end up with a tasty meal that is of vegetarian nature rather than Indian. And that’s fine, too! Cover with plenty of water, bring to boil and cook on low heat until pulses collapse into a near-mush. It’s important at all stages to keep the water content very high – in fact, higher than you may think wise. 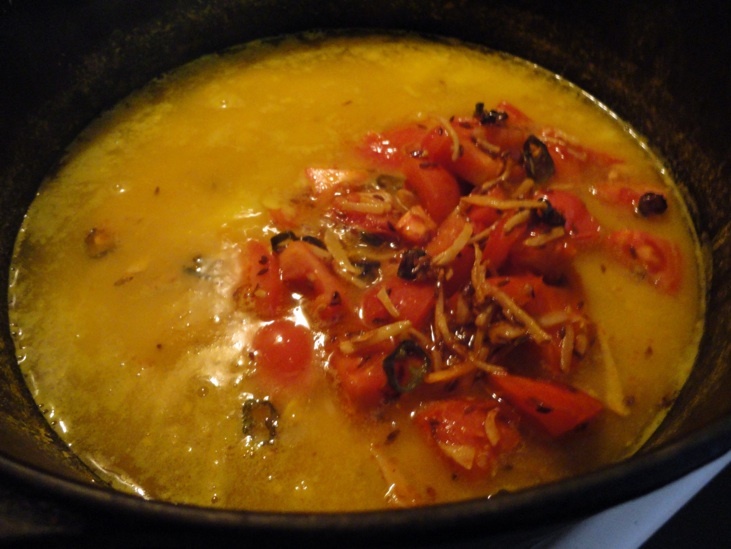 When served, dal always coagulates on the plate or in the bowl. It it’s too thick in the pot, it’ll become an unseemly stodge when served. So keep it really runny! 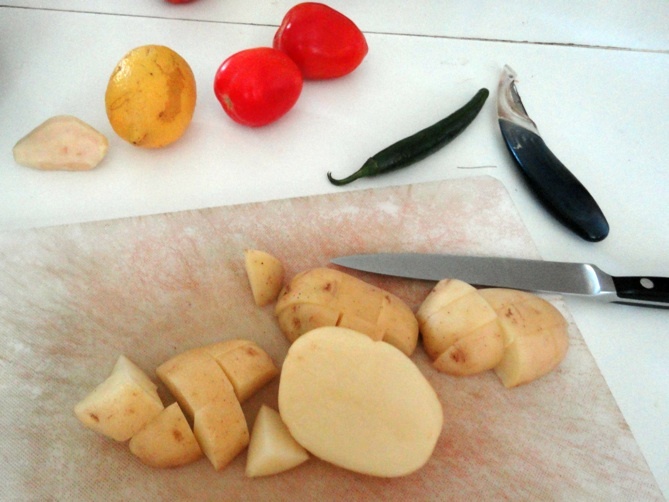 Meanwhile, dice the spuds into smallish bite-sized chunks and add to the dal about halfway through its cooking process. You can keep the dal as a pristine dish if you’re cooking a proper Indian meal with other dishes. But often we find adding spuds or carrots makes for an easier, quick-cook all-in-one meal. Don’t worry about the spuds being overcooked – if they collapse a bit, it just adds to the texture. A bit like the spuds in beef rendang and the like. 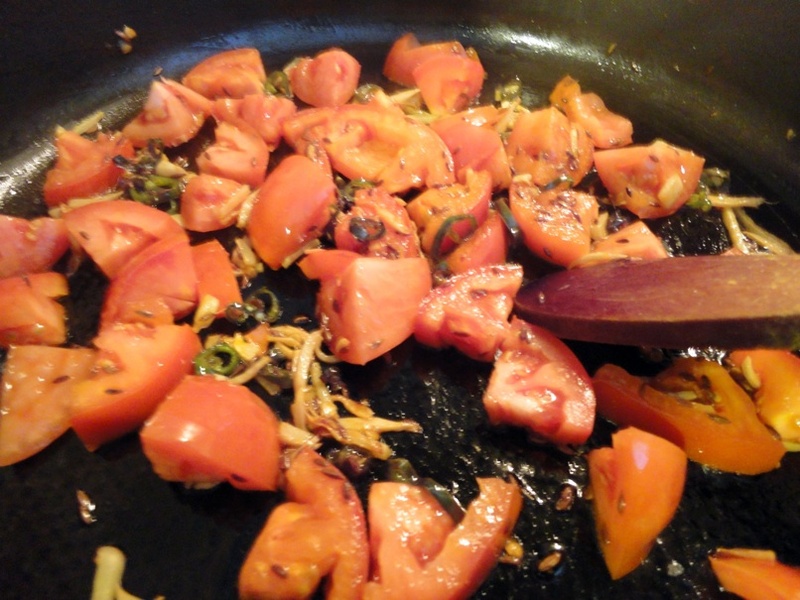 As the dal mix becomes thoroughly cooked, slice the chilli, grate or chop the ginger/galangal and chop the tomatoes. Sometimes I finely grate the ginger, but more recently I’ve taken to taking the time to slice it into thin strands. This delivers more of surprising flavour hit and is inspired by the profoundly gingery dal I had at Maurya in Sunshine. About this time, it’s a good idea to lower the heat under the dal mix even further if possible or take off the heat entirely. Especially if you’re using gas, it doesn’t take much of a flame to have the pulses sticking to the bottom of the pot. Heat oil until medium hot. 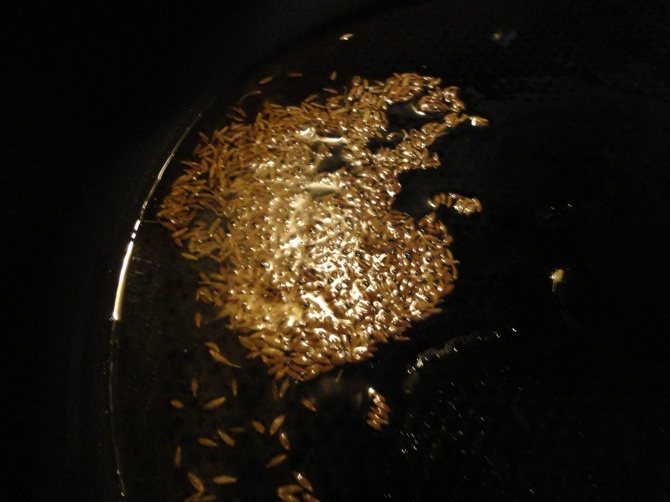 Throw in 1 teaspoon of cumin seeds and fry until fragrant. 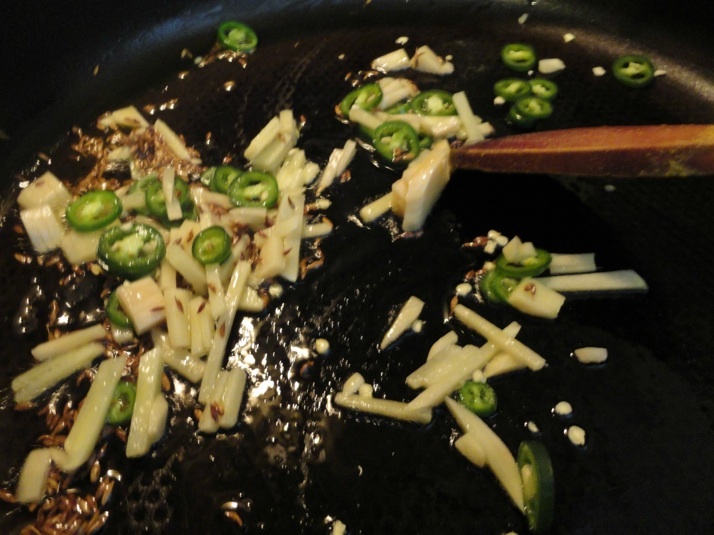 Lower the heat a little and throw in the sliced chilli and ginger. Stir and fry for 3-4 minutes. Throw in the chopped tomatoes. Stir and cook until the tomato pieces are just starting to break down but still holding their shape. 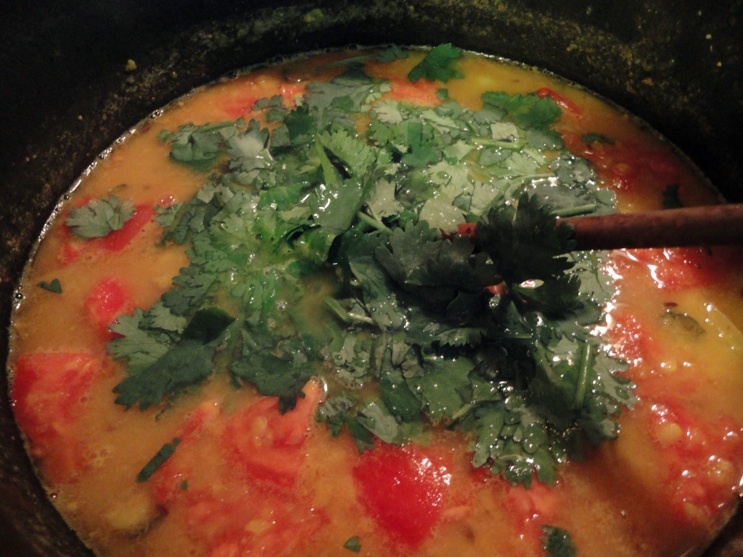 Throw tomato/ginger/chilli/cumin mix into the pot of dal. Stir and let cook for five minutes or so until the flavours are emancipated. 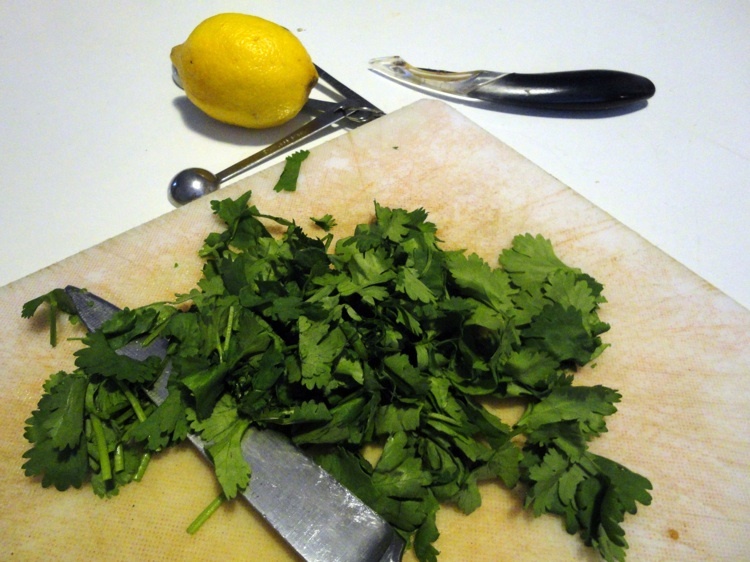 When ready to serve and eat, throw in the coriander and, finally, squeeze in juice of a lemon. We try to get small bunches of coriander and use the whole lot in one bang – stalks and all. It doesn’t keep very well. Serve with rice, raita and your choice of breads and side dishes. That looks terrific. I like coriander but I know quite a few people who detest it. So I would serve the coriander on the side, though that would take away from presentation. Tried your recipe out tonight, Kenny. It was very popular with the dal eating set. The amount of liquid required to keep things going is a good tip. Several trips with a boiling kettle were required to keep things sloppy, and the dal was the better for it. A small quantity (very small 😉 ) has gone into the fridge. It will be interesting to see how the liquid goes overnight. Thanks muchly for the simple recipe. 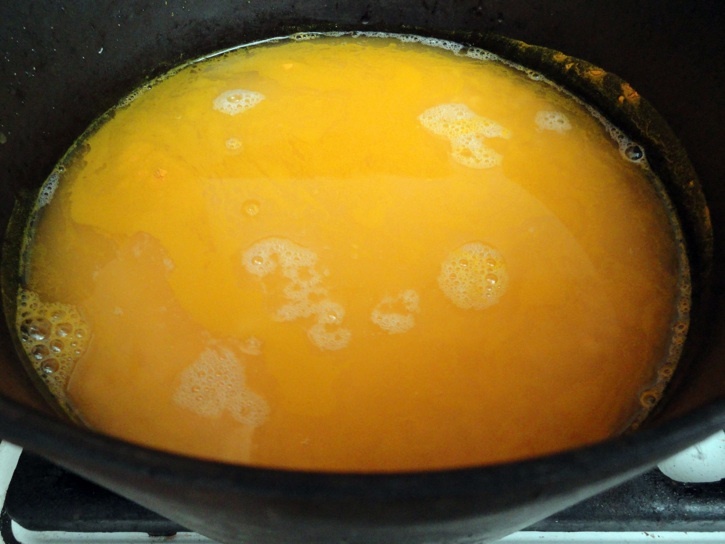 Here’s another tip: Sometimes I make up a really big pot of the pulses/turmeric/salt, then ladle enough for the immediate meal into the pan with the fried ginger/chilli/cumin seeds and put the lemon juice and corinader into the same pan. The rest of the puree I freeze. Thawed and heated gently, it’s just as good – and you can then add all the zingy stuff. Must rush, I need to umpire the fight over who gets last night’s leftover dal!